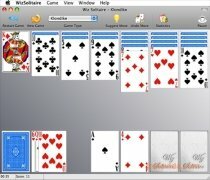 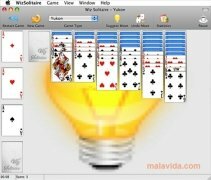 Until not long ago, solitaire games had been exclusively developed for Windows, but now Apple computer users can also enjoy these entertaining board games with this great collection of more than 25 different card games. 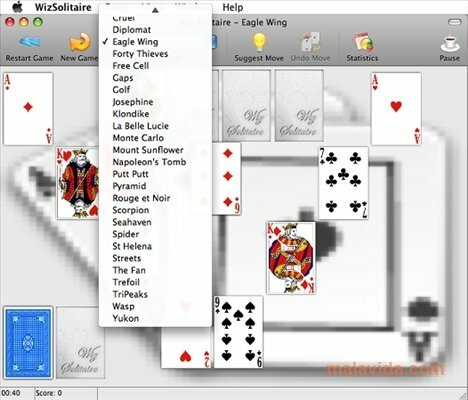 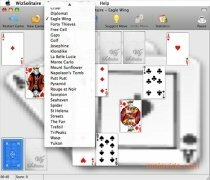 Wiz Solitaire is a collection that gathers a whole range of variants of the classic solitaire in one pack (Klondike, Spider, Pyramid, La Belle Lucie, Monte Carlo and Eagle Wing, amongst others). 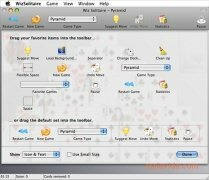 The game will save a registry with all our statistics, so that it can compare them later and tell us at which ones we play best. 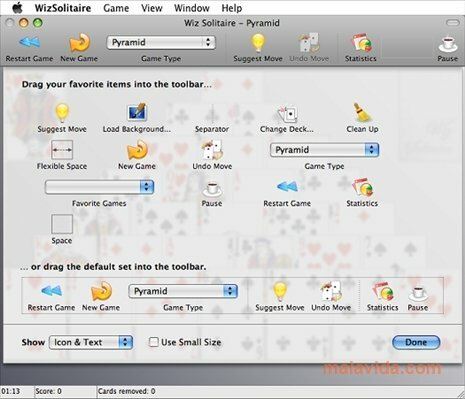 The game also includes a help system that will suggest movements and the possibility to save the games at any moment to restart them later. 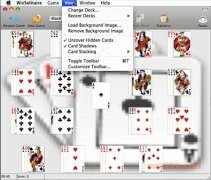 Another interesting feature is that we will be able to create our own deck, because it has an editor, which we will later be able to share with the rest of players on the game's official website, where we will also be able to download decks created by other users. 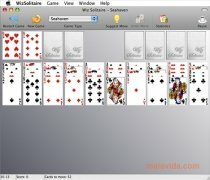 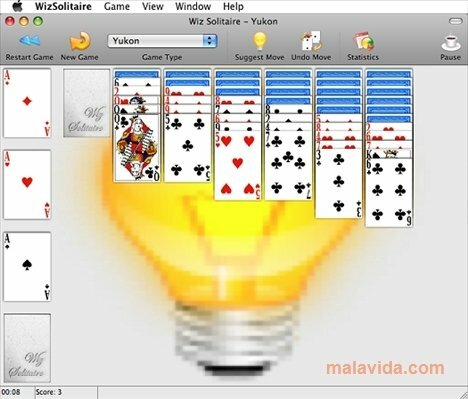 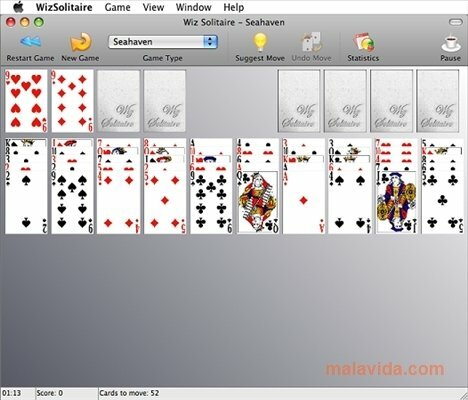 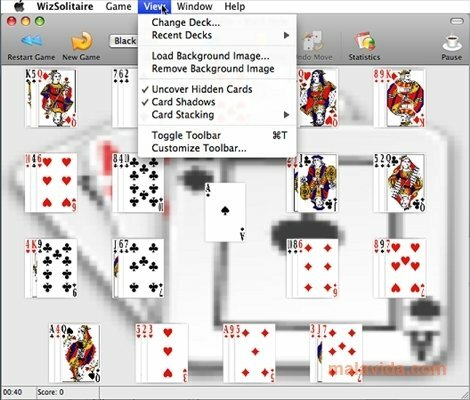 Download Wiz Solitaire now, the best collection of solitaire card games for Mac. 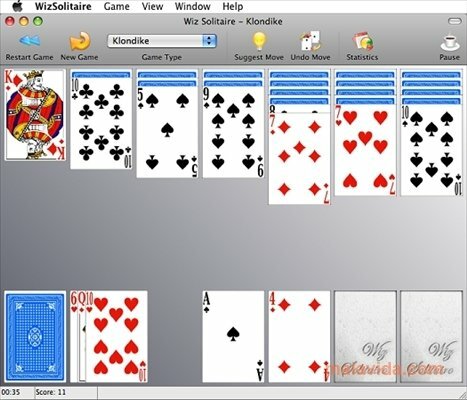 It is a limited version of the application.